The August: Osage County characters are the most important part of the play, as both the writer and the director have built incredible and vibrant people that can be very relatable. The characters portrayed by the actors have done great justice to the play and made it into a Pulitzer Prize winner. The main characters of August: Osage County are Beverly and Violet Weston. They are married and live in a three-story home in Oklahoma. They have three daughters by the name of Barbara, Karen and Ivy in the order of their age. Beverly is a well-known poet but has a drinking problem, probably due to Violet being a drug addict. Violet herself has a health problem an struggles with mouth cancer and needs drugs to treat her and alleviate her pain. She is also upset with her oldest daughter leaving her home, making her subject to the drugs. Beverly and Violet are having marital problems and are constantly fighting over many issues, which is what leads Beverly into committing suicide at the beginning of the play. When this occurs the entire family is pulled together to attend the funeral and chaos ensues along with confrontation between family members. Violet and Barbara have never gotten along and are constantly fighting. Barbara herself is in an unhappy marriage as her husband is cheating on her with a younger woman and her 14 year old daughter smokes pot. Karen has a fiancé who joins her niece in smoking pot and engages in shameless flirting with his soon to be niece. Ivy also has a problem with her mother as Violet always picks on her for not having a romantic life, However Ivy has been engaging secretly in a romantic relationship with her cousin Little Charlie, who turns out to be her half-brother. 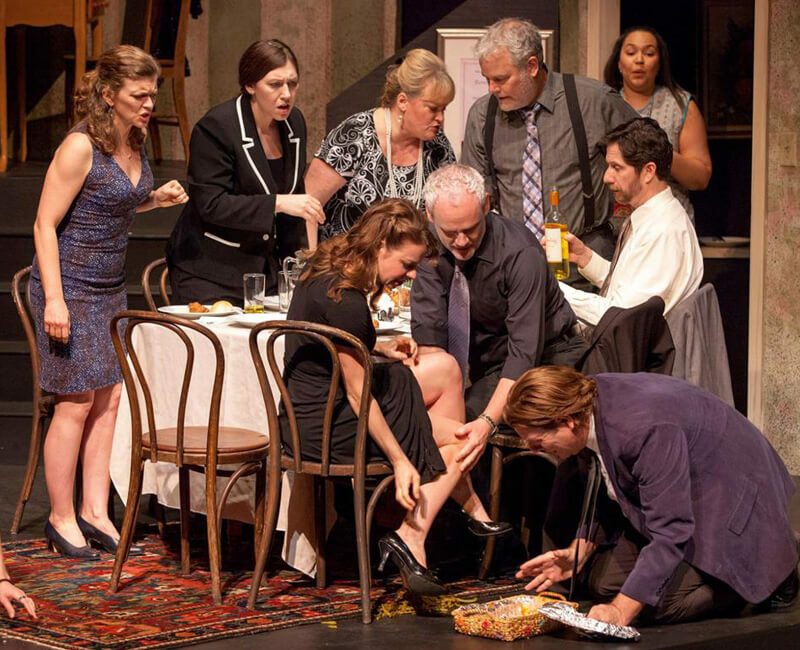 Other characters of August: Osage County are Charlie and Mattie Fae – Violet’s sister – their son Little Charlie and the newly hired live in cook Johnna.